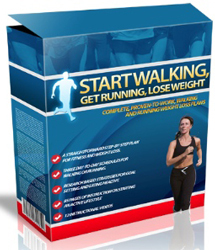 Fat Loss Running Program - Burn Belly Fat! A fat loss running program is one that is simple, sensible, and progressive. To burn belly fat and increase lean muscle tissue, you must include interval training workouts as you improve. Running has such an appeal because it is inexpensive to do and is one of the all time best exercises for burning calories. However, there are some considerations when you first start a running program for fat loss. * It goes without saying to start easy. Many times, in their zeal to be outdoors and lose belly fat, people will initiate a rigorous running program...that they end up abandoning. 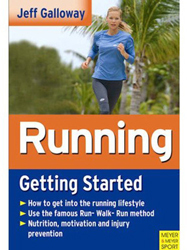 * Start your first month with easy distances and an easy pace. You can extend both as you improve. * You cannot just jog slow each workout and you cannot hammer every workout. You must include routines that address both intensity and duration throughout the week. A running program for fat loss must be varied to maintain both results and interest. * Although you should do some form of cardio each day to increase metabolism naturally, it does not always have to be running. Your body recovers better if you take 1-2 days per week and walk or swim. * The bottom line for fat loss is to establish a calorie deficit, and the best way to do that is through your diet. You must exercise portion control and make good food choices to reach your fat loss goals. A fat loss running program can help you tremendously. Just make sure you are sensible and progressive in your workouts. What is healthy eating and how can it benefit you?